Beginning with the opening scene - a valentine to cheesy, low-budget zombie flicks – and continuing throughout, ParaNorman establishes itself as a fun movie targeting kids from the minds of adults who love horror and the ’80s – and even somehow manages to give a nod to paranormal theories. Co-directed by Sam Fell (Flushed Away) and Chris Butler (who did story board work on Coraline and The Corpse Bride, and wrote the screenplay credit here), the 3D stop-motion animated comedy follows Norman Babcock (voiced by Kodi Smit-McPhee), an 11 year-old horror-geek who sees ghosts in the Salem-esque witch-tourism town of Blithe Hollow. At home, Norman’s parents (Jeff Garlin, Leslie Mann) get flustered over their son’s belief in ghosts while, at school, he’s bully bait to Alvin (Christopher Mintz-Plasse). However, Norman’s world drastically shifts in short order when he befriends chubby outcast Neil (Tucker Albrizzi) right around the same time his “crazy” estranged uncle Prenderghast (John Goodman) – who also sees ghosts – warns the boy he is the key to stopping a zombie-rising, 300-year-old witch’s curse. When the dead do rise, Norman is forced into a Mystery Gang of sorts that also includes his vapid sister (Anna Kendrick), Neil’s musclebound brother (Casey Affleck) and Alvin. The collection of the weirdo, chubby kid, bully, jock and airheaded blonde look like a crew made for slashing in a Jason or Freddy movie, but they would also be at home in any John Hughes flick about teenage outsiders in weekend detention. A breakfast club-meets-monster squad, they flirt with, deride, and show off among one another. They aren't really friends, although they are also forced to get along for survival. And for one reason or another, each member of the group doesn’t fit, but none moreso than Norman. He is a kid happiest when watching scary movies, talking to ghosts like his dead grandmother (Elaine Stritch) or playing with a ghost dog. But the real world of doubting parents and classmates who label him “freak” get him down. When he acts weird or spaces out, it's because he's likely seeing something that no one else would understand. As a result, he's like the skittish modernized version of Cole Sear (Haley Joel Osment) from The Sixth Sense, and would be a perfect candidate for reality-TV’s Psychic Kids: Children of the Paranormal with Chip Coffey. In fact, the movie tends to play with a lot of paranormal concepts, including why people might come back as ghosts or where orbs come from. This attention to detail from the filmmakers lends the film a little paranormal authenticity that works well when zombies begin shambling towards town or hijinks ensue. And those hijinks are fairly charming within the world of ParaNorman. It’s fun to see a kid used to ghosts get spooked by a bug or a friend wearing a hockey mask. The interaction of the zombies (zombies in name only – ZINO – really) and the townsfolk is classic, and the movie features the best fun-with-corpses rigor mortis scene in recent history. 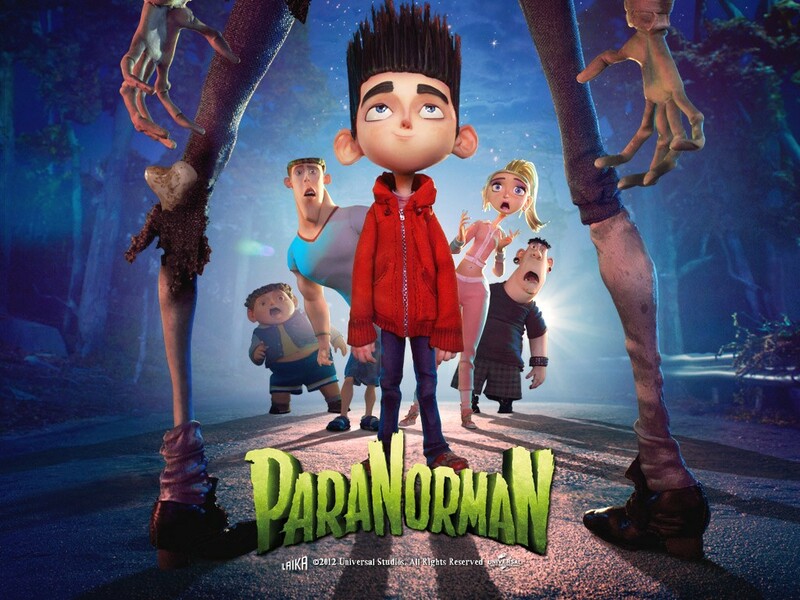 This is actually what makes ParaNorman work so well; it doesn’t pander. It is not afraid to be spooky and gross with fun gags that both kids and adults will enjoy. Moreover, the final act has an incredibly nuanced, but easily understandable, pay-off that could lead to really interesting conversations between parents and their children. It is a little scary, but kids will get it. Aside from the plot, the voice work of is spot on for a kid's movie. Every character sounds much like a child might interpret the people in his life to sound. For instance, Garlin does a perfect braying dad voice, and Mintz-Plasse has elevated the annoying "well, duh" voice of the bully to an artform. Meanwhile, Smit-McPhee is appropriately quiet and painfully earnest as Norman. The stop-motion animation in ParaNorman is stellar and makes the film work in a way that computer animation couldn’t. It fits the scary-comedy mood of the film. The characters are cartoonishly misshapen like something out of Mad Monster Party (that’s a compliment) and the tourist-trap world of Blithe Hollow is textured and loaded with personality. As for the 3D, it was a fun addition but not necessary to enjoying the movie.